Are you tired of looking for a custom size vinyl tarp? Look no further Tarps Plus is the #1 go to place for vinyl tarps. We understand how important it is to have the exact tarp you are looking for, due to projects sometimes it must all be the exact size you need and alternatives do no good. 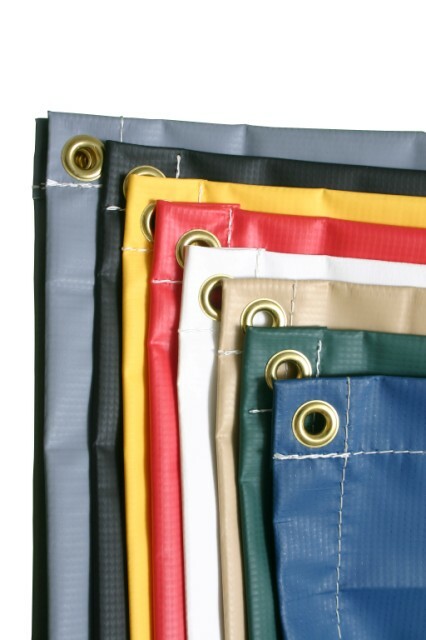 At Tarps plus most tarps can be set to custom sizes. Vinyl tarps can come in custom sizes and with or without grommets, different colors are also an option. Vinyl tarps can be used by anyone for many projects from industrial projects to school projects. Vinyl Tarps are heavy duty and come in different mils to accommodate your needs, from regular to heavy duty thickness both are available. Visit www.Tarpsplus.com and order your custom vinyl tarp. My Vinyl Tarp was just what I was hoping for. I'm happy that now you guys are able to custom make tarps. These Tarps are very very strong. Great Products. Who Would Use Mesh Tarps? Emergency!, Tarps Can Save Your Day. Rubber Tarp Straps Are a Must Have! Enjoy The Weekend With Some Slip N Slide Action! Pool Tarps Will Save You Money! Truck Tarps Are Also Available At Tarps Plus! Blue Tarps for Shelter & For Roof Leaks! Gym Floor Covers Now On Sale! Some Will Soon Need Drain Tarps! To Enjoy The Sun Get A Mesh Tarp!